President Abdel Fattah al-Sisi called for a realistic and informed intellectual heritage to draw from, suitable for the modern world in a way that would contribute to a brighter future. He added in a speech delivered at the celebration organized by the Ministry of Endowments for the anniversary of the birth of the Prophet Mohammed (Mouled) on Monday, that enlightening minds is a strategic goal set by the state in the current period. 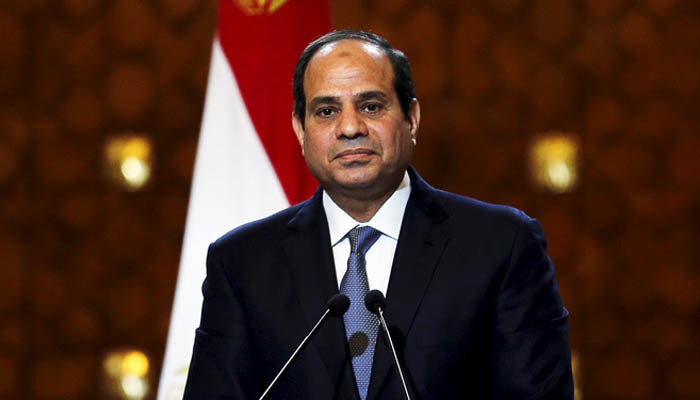 “I call on our scholars, imans, and intellectuals to do more effort in their enlightenment role to combat those who call for extremism and terrorism,” Sisi said. He stressed that the behavior of many Muslims is far from the true religion which calls for honesty, dedication in work, and respect to others. The current real problem in the Islamic world is not whether to follow Sunnah or not, but rather the misinterpretation of the fundamentals of religion, Sisi said. “Conspiracies exist throughout the ages and our role is to address them,” he added. Real Muslim scholars must address the issues of the age and must be knowledgeable in all fields, Sisi mentioned. He also invited a number of young preachers to the National Academy for Youth Training and Rehabilitation to expand their knowledge. Sisi said that Islam is keen to establish the principles of peaceful coexistence between human beings and the right of all people to a decent life. He regretted Muslims who did not understand the true moderate teachings of Islam and Prophet Mohammed.